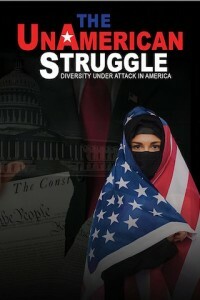 Winner of the Award of Merit at indieFEST Film Awards and Best Political Documentary at Atlanta Docufest, filmmaker Ric Osuna began The UnAmerican Struggle documentary, one week after the election of Donald J. Trump, in response to the attack on diversity that began during the campaign. In November of 2017, the Federal Bureau of Investigation (FBI) reported that hate crimes had increased by nearly 5% since 2015 in their annual Incidents of Hate report. The report recorded 5,818 “single-bias” incidents occurred, in which one or more offense types, or incidents, were motivated by the same bias. Of those, 59.2% were motivated by a racial, ethnic and/or ancestry bias; 19.7% by a religious bias; 17.7% by a sexual orientation bias; and 3.3% by a gender identity, disability or gender bias. For activists on the front line of the identity politics movement, this rise in hate crimes is not a surprise, and many of them feel the numbers are under-reported. 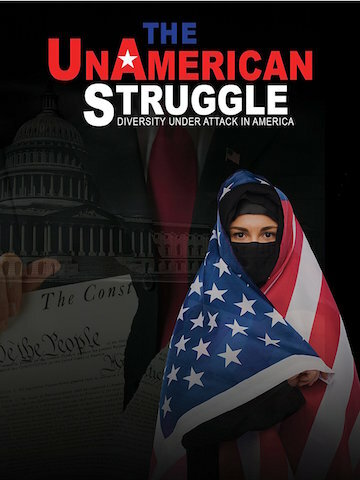 In The UnAmerican Struggle, this renewed struggle facing immigrants, Latinos, Muslims, black people, women, and transgender people is represented by frontline activist voices, featuring Heidi Beirich and Naomi Tsu of the Southern Poverty Law Center, Angeles Valenciano of the National Diversity Council, Edward Ahmed Mitchell, Executive Director of the Georgia Chapter of the Council on American-Islamic Relations (CAIR) and Sir Maejor Page, President of Greater Atlanta Black Lives Matter. Osuna is no stranger to documentary filmmaking with several credits under his belt. He started his career as a researcher and co-producer for The History Channel where he worked on a documentary about the Amityville case and subsequently wrote a book exposing the true motives and methods of the murders along with the hoax that inspired The Amityville Horror. The book was entitled, “The Night the DeFeos Died: Reinvestigating the Amityville Murders”. The rights were later optioned for a film and documentary. His directorial debut was a documentary on the controversial Yucca Mountain nuclear repository, entitled Subversive Doubt.